Family, friends, colleagues and admirers have been paying tribute to Michael Jackson, following the announcement of the star’s death at the age of 50. 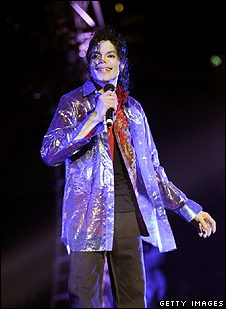 “My brother, the legendary King of Pop, Michael Jackson passed away on Thursday June 25th, 2009 at 2.26pm. 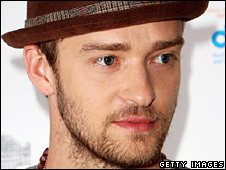 It is believed he suffered cardiac arrest in his home. “Our family requests that the media please respects our privacy at this tough time. “I can’t stop crying over the sad news. I’ve always admired Michael Jackson – the world has lost one of its greats, but his music will live on forever. “I am shocked. I am overwhelmed by this tragedy. Michael Jackson has been an idol for me all my life. “I’m just devastated, very, very sad. I pray that his soul is up there now. I’m still trying to hold on to the glimmer that it is not true. It is too surreal for me to absorb that Michael is no longer with us. “I’m having a million different reactions I didn’t expect I would feel. “I’m absolutely devastated at this news. I just don’t have the words. Divinity brought our souls together and allowed us to do what we could do through the 80s. “I am so very sad and confused with every emotion possible. I am heartbroken for his children, who I know were everything to him, and for his family. “There will never be another talent like Michael Jackson. “He was the first live performer I ever saw. I got to see him at Madison Square Garden when I was eight. If not for him, I wouldn’t be doing what I’m doing. “He gave me joy as a child and showed me the way to go. He was music. Period. “I am stunned. My friend, Michael Jackson, is dead. He lived with me for a week on the ‘Golden Pond’ set after Thriller. 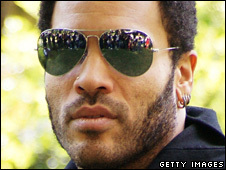 “He was one of the most influential and iconic figures in the music industry. “Definitely one of the greatest stars of recorded music. There is no doubt of that. He would be in the top 10 of all time, regardless of who the other nine people were. “I was so excited to see his tour in London. We were going to be on tour in Europe at the same time and I was going to fly into see him. “We have lost an icon in our industry and my heartfelt condolences go out to his family and children in this hour of sorrow. “Michael Jackson was my musical god. He made me believe that all things are possible, through real and positive music. “We have lost a genius and a true ambassador of not only pop music, but of all music. I can’t find the words right now to express how deeply saddened I am by Michael’s passing. “He has been an inspiration to multiple generations, and I will always cherish the moments I shared with him onstage and all of the things I learned about music from him, and the time we spent together. “I’ve known Michael for many years and we’ve done many different things together over the years. “I know his family and it’s just a total shock. I don’t even have words to say. I mean I’ll miss Michael, the world will miss Michael and I’m sure the world is in a state of grief right now. “I am heart broken. My prayers go out to the Jackson family, and my heart goes out to his children. Let us remember him for his unparalleled contribution to the world of music, his generosity of spirit in his quest to heal the world, and the joy he brought to is millions of devoted fans throughout the world. 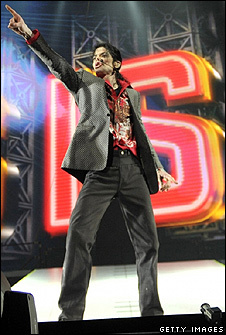 “Michael Jackson will live forever through the thing that he put all of his life energy into: his music. “I am shocked beyond words. It’s like a dream, a bad dream. This cannot be. How can Michael Jackson not be here? “As a kid, Michael was always beyond his years. He had a knowingness about him that was incredible. “Michael was and will remain one of the greatest entertainers that ever lived. “He was exceptional, artistic and original. He gave the world his heart and soul through his music. “He’s the most misunderstood man in world. Everyone thought he was this weird freak but when you’re with him he’s as normal as everyone else. I don’t think he felt he was as famous as everyone else thought, he didn’t know any different. “He was a very caring guy who would go out of his way to help the sick. One night in London he wanted to see some homeless people. He sent them loads of pizzas in secret. The guy had a good heart.